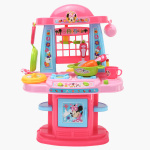 Minnie Mouse Printed 4-in-1 Multiplex Kitchen Playset | Multicolour | Your little girl can indulge in a fun role play with this multiplex kitchen set. 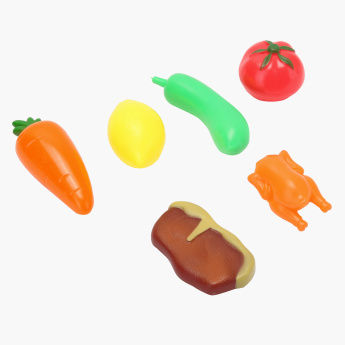 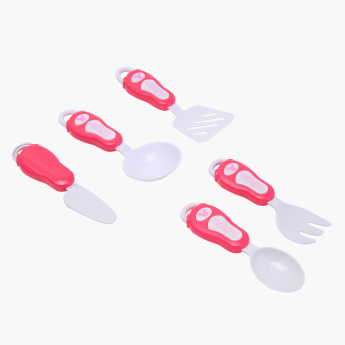 Kids can have fun while pretend play cooking and serving the make-believe dishes to their friends. Your little girl will have an interesting playtime once you get her this unique kitchen playset. 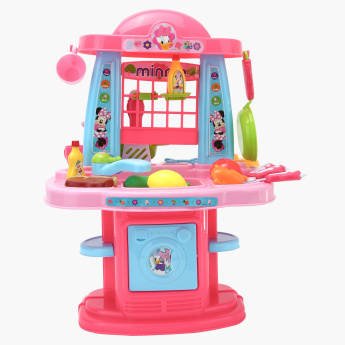 With an openable oven door, double-sided work counter, and various cooking tools, your darling will enjoy an interactive playtime. 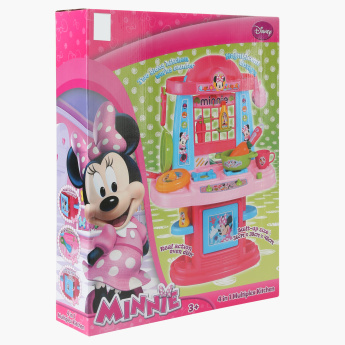 Made of a superior quality material, this playset is highly durable and safe for your kid's skin. 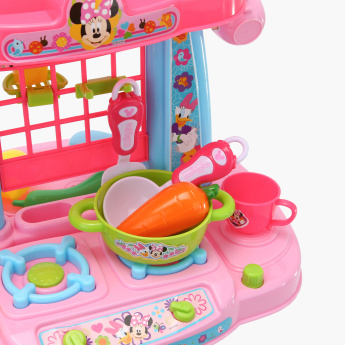 Feature 2 : The kitchen set features an openable oven door, double-sided work counter, imitation foods and various cooking tools. 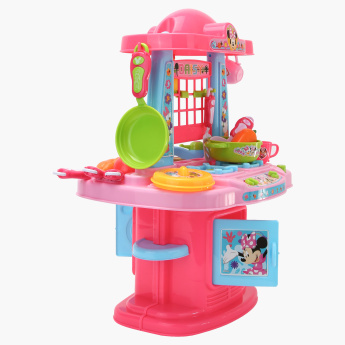 Feature 1 : Your little girl can indulge in a fun role play with this multiplex kitchen set. Kids can have fun while pretend play cooking and serving the make-believe dishes to their friends. 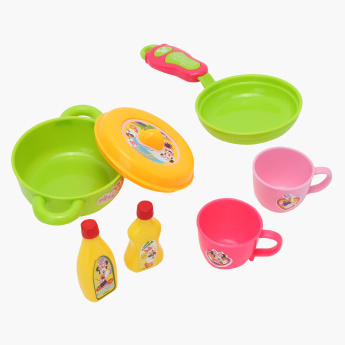 Feature 3 : Made of durable plastic and bright colors, this kitchen set is sure to be your girl's best play pal for years.